Following a change of logo, the York Health Economics Consortium (YHEC), based at York University, asked Signarama York to help it implement its new identity. 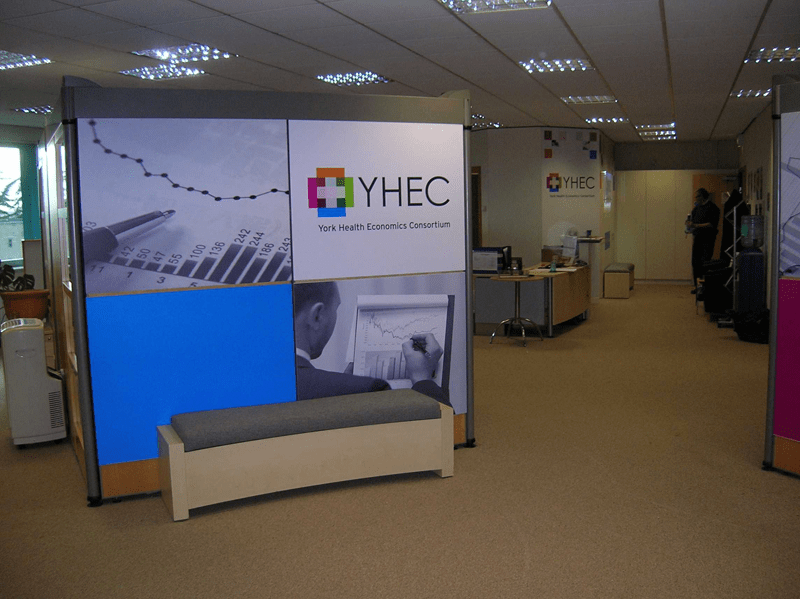 Whilst the new logo was relatively simple in design, the brief that YHEC provided also included a request that Signarama helped to make the Consortium’s open plan office brighter and more visually branded. 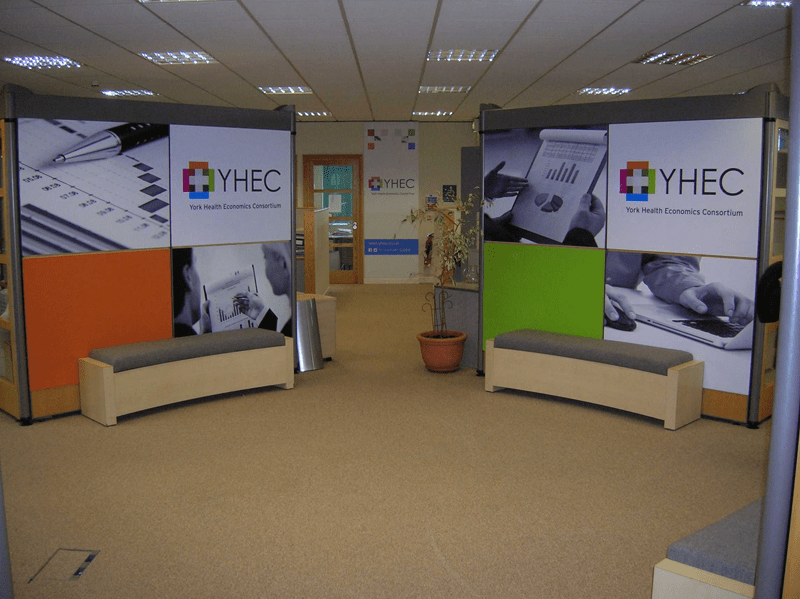 To improve the internal branding Signarama designed digital wallpaper panels that featured single blocks of colour taken from the new logo and combined these with simple greyscale graphics and the YHEC logo. These panels were placed on large screens and are used to help divide the office. To provide a cohesive feel, similar panels featuring the block colours and the logo were also placed on walls around the office. To help highlight the reception area the wall was covered with branded digital wallpaper and an edge lit logo sign was included for added impact. The finished effect has been to create a brighter look for the office whilst giving it a more corporate and co-ordinated feel.